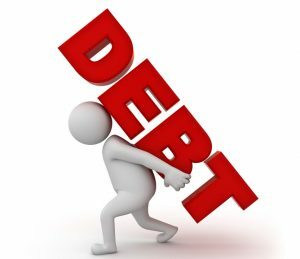 Debt is one of those things many people avoid talking about and sometimes even thinking about, even though it is something that affects millions of Americans every year. The problem is that debt doesn’t go away if you ignore it. In fact, the longer that you delay facing the problem, the worse it will get. Don’t dig yourself into a hole that you can’t get yourself out of simply because you are ashamed or embarrassed about the current state of your finances. Life is expensive and there are very few people who learn early on how to avoid the pitfalls that come with making the large and necessary purchases that are a part of everyday life. Having debt doesn’t mean that you are a bad person or too careless with how you spend your money. Millions of Americans have been in the same place as you are, and many have gotten themselves out by utilizing the tools that are available for people who are in danger of being swallowed alive by debt. Options like loan refinancing and credit card counseling can help you turn around and head back down the road towards financial stability and health. The important thing is to come to terms with the problem and accept that something needs to be done about it, starting today if at all possible. The sooner you work to solve your debt problem, the sooner it can be simply a part of your past. Then you won’t have to avoid thinking about it because you won’t have to worry about it anymore at all.